VenaCure EVLT™ is the FDA-approved, minimally invasive treatment that uses targeted laser energy to seal veins with malfunctioning valves that cause leg problems including varicose veins, pain, swelling, heaviness, itching, and fatigue. Endovenous laser ablation is used to treat problems with the superficial venous systems including the great, anterior accessory, and small saphenous veins and incompetent perforators that can sometimes cause leg ulcers or nonhealing wounds. VenaCure EVLT™ ablation is a type of heat or thermal ablation. 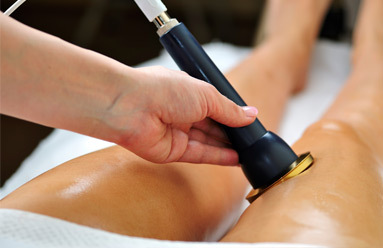 Because the laser energy is thermal, a numbing medicine must be injected around the course of the vein to be treated. The injections of numbing medicine can be uncomfortable with feelings of stinging, burning, or even an aching pain. The numbing medicine works in about 3 seconds so the discomfort disappears quickly. What are the benefits of VenaCure EVLT™? The VenaCure EVLT™ procedure, or laser ablation, is a technique that has been used in the United States for more than 15 years. Compared with vein stripping, VenaCure EVLT™ requires only one small incision and although the laser fiber is removed from the leg, the treated vein remains. 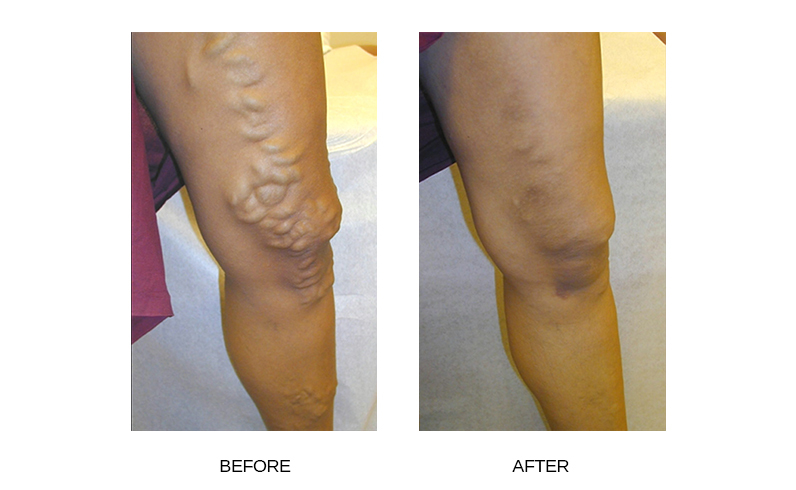 Leaving the vein in the leg has drastically reduced the occurrence of neovascularization, a complication of vein stripping where more veins develop after treatment. 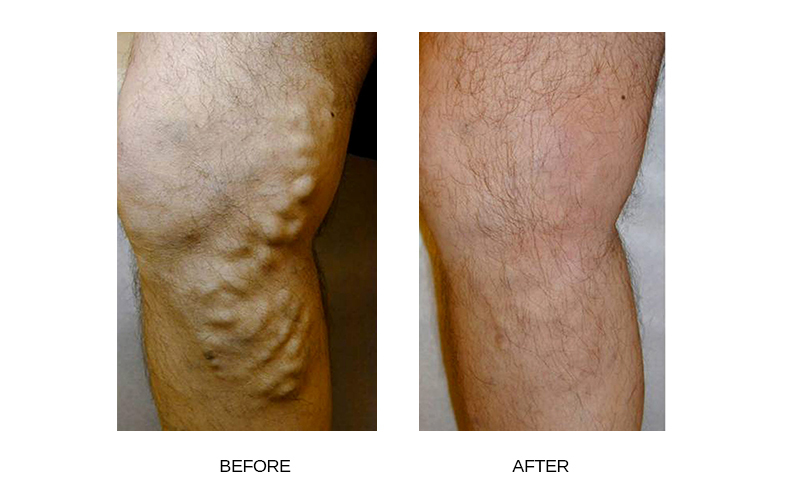 Endovenous laser ablation has minimal to no scarring and does not require general anesthesia or hospitalization. What results are expected with VenaCure EVLT™? 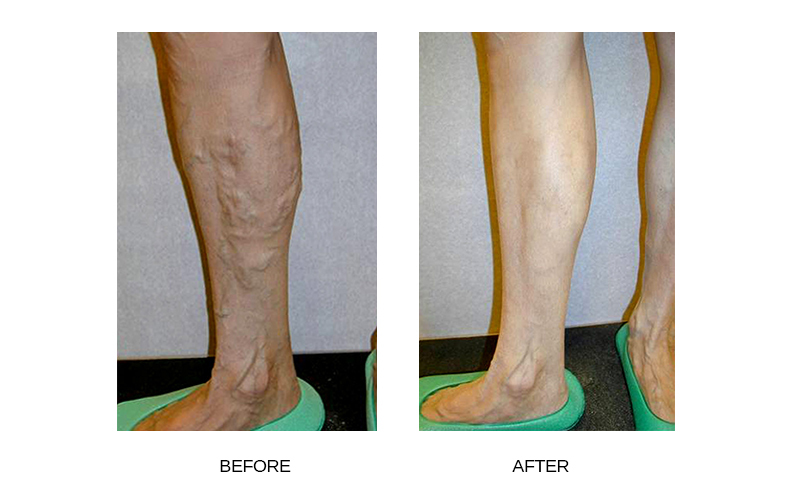 Endovenous laser ablation with the VenaCure EVLT™ procedure delivers results. Many patients report immediate improvement in their symptoms. VenaCure EVLT™ closes the vein successfully by ultrasound as much as 98% of the time. The treated vein becomes fibrotic, like a bango string. I feel VenaCure EVLT was the right procedure for me because there was no downtime; there was no scar, no incision, really like no healing. What can I expect during treatments with VenaCure EVLT™? VenaCure EVLT™ treatments are usually out-patient procedures that take less than 60 minutes. The procedure starts with mapping the targeted, defective vein using ultrasound. The leg is prepped with an antiseptic solution and the vein is accessed much like starting an IV elsewhere in the body. The laser fiber is inserted through the specialized IV, numbing medicine is given, and the laser fiber is connected to an energy source and withdrawn as it delivers the laser energy to the vein wall. The fiber is removed, a small dressing is used where it went into the skin, and the leg is placed in a compression stocking. What aftercare is recommended following VenaCure EVLT™ treatment? With laser ablation using the VenaCure EVLT™ procedure, patients can resume most normal activities almost immediately with little or pain. Compression stockings are prescribed to be worn continuously for the first 72 hours. For the next 2 weeks following the treatment, compression is worn only during the day or when the patient is awake and active. Patients are encouraged to walk 30 minutes daily. Patients are also advised to avoid squats, lunges, and abdominal crunches for the next 6 weeks. What are the possible side effects associated with VenaCure EVLT™? As with all medical procedures, potential risks and complication exist with laser ablation, the VenaCure EVLT™ procedure. These include vessel perforation, blood clots, pulmonary embolus, phlebitis, infection, nerve damage, arteriovenous fistula, skin staining, bruising, and skin burn. I’m very pleased with the results. The varicose vein on the top of my leg is entirely gone. There’s no scarring, there’s no pain any longer. A lot of the swelling I had a result of the varicosity in my ankles has gone away and there is a noticeable difference now as compared to before. Am I a candidate for VenaCure EVLT™? What does VenaCure EVLT™ cost? Many insurance companies cover laser ablation for the treatment of symptomatic varicose veins, leg swelling, leg pain or chronic venous stasis ulcers. Please contact Amy Robinson, our office manager, if you need assistance discussing your coverage with your insurance provider. Please check out our PRICING PAGE to see the private pay cost. 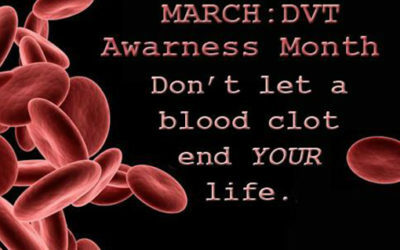 We encourage you to schedule a FREE vein screening today. During our meeting, we will advise on whether or not you’re an ideal candidate for VenaCure EVLT™, as well as compose a custom treatment plan designed to achieve the smooth, clear and vein-free skin you’ve always wanted. Call the office today and one of our seasoned staff members will be able to assist you. *Actual patient photos. Results may vary. Refresh Your Look This Spring at… Totality! For our spring aesthetics specials, see the pricing page on this website. For a free skincare consultation, to book an appointment, or for questions, please call us at 405.739.6596. 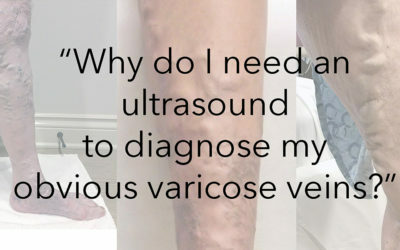 Why Do I Need an Ultrasound to Diagnose My Obvious Varicose Veins?